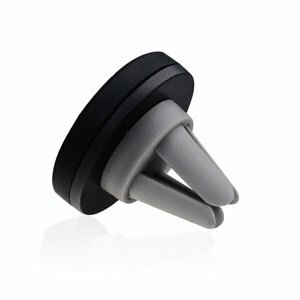 Gigacord Magnetic Phone Vent Holder - NWCA Inc.
Navigate through the world with our wonderful air vent magnetic cradle. Take your GPS, Media, Music, Phone Calls, and Videos to new levels. Make the roads a safer place for all those around you including other drivers and pedestrians. Prevent accidents from happening. Safely navigate to your destination without distractions. The roads are a busy place; make sure your vehicle is on the defense at all times by mounting your device. -Easy Installation for quick use. Reinforced magnetic plate holder stabilized your device to the car mount. Placement of magnetic plate behind your devices case and simply align to the car mount onto your car's air vent. Freely rotate your phone to customize your viewing angle. Universal mount designed for ALL smartphones, phablets, cell phones, MP3 and GPS devices. -iPhone 6 6s Plus/6s/6/5S/5C/5/4S, Galaxy S7/S7 Edge, S6/S6 Edge/S6 Edge+, S5, Galaxy Note 5, 4, Moto X, Moto G, LG G4, LG Flex, Google Nexus 5/4, Nokia Lumia, Sony Xperia, HTC One M9, M8, M7, and even GoPro. Suitable for mobile devices such as iPhone / iPod / PSP / GPS, etc.